It took me far too long to post my review of this beer. In fact I have waited so long the beer is no longer available for growlers or 750s at the brewery only tastings. Hopefully they bring it back soon as it is certainly worth trying. Gales of November is a milk stout which is a style of beer that I have not had often so I don’t have a lot to compare this to. This one is super dark with minimal carbonation. There is a very thin tan head that dissipates quickly. Nose has plenty of cocoa and a hint of coffee. Taste follows the nose but the mouthfeel is excellent, very creamy and smooth. 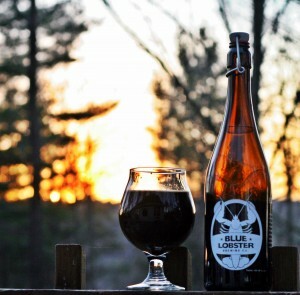 Very impressed with this stout from Blue Lobster and looking forward to more like it.